The Redmi 7 is powered by a Qualcomm Snapdragon 632 SoC and will be available in three different RAM and storage variants - 2GB RAM with 16GB of storage, 3GB RAM with 32GB of storage, and 4GB RAM with 64GB of storage. Selfie duties are handled by an 8MP camera within a waterdrop notch - this shooter also offers face unlock functionality. The Redmi 7 phone comes in three variants (2GB, 3GB & 4GB) whereas Redmi Note 7 Pro is launched as a sole variant with 6GB of RAM and 128GB internal storage capacity. 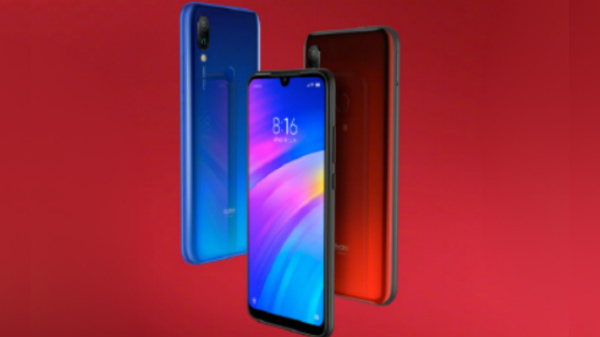 Xiaomi has already launched Redmi Note 7 Pro in India and its China variant is expected to be slightly different from the recently launched Indian version. On the rear, the device sports 12MP + 2MP dual camera setup on the rear. It is not known whether Redmi 7 will be making its way to Malaysia anytime soon; so we'll keep you posted once we hear more from Xiaomi. The move to let go of Redmi as an independent brand does make sense as the brand was saddled with the responsibility of churning out budget devices. The Redmi 7 is also the most affordable smartphone to come with Kryo CPU. Thankfully, the Chinese company has added Gorilla Glass 5 protection to the screen. The Redmi 7 packs a 4,000mAh battery and comes with a 5V/2A (10W) power adapter. It uses the same camera sensor as the Mi 6 - Xiaomi's flagship from 2017, which represents the dynamic and fast-evolving smartphone landscape, especially in the Asian markets. The 4GB variant of the Redmi Note 7 Pro, on the other hand, was not mentioned at the event so it is safe to assume that the version is now exclusive to India. It also has a fingerprint sensor embedded onto the polycarbonate rear panel and will be available in red, black and blue colours. The device measures 158.65x76.43x8.47mm and weighs 180 grams. Redmi 1A automatic washing machine is the other device that was unveiled today. It also has multiple wash modes including a self-cleaning mode. Rs. 7,000), 799 yuan (approx.